It’s hard to believe that this year marks only the third edition of TEDxKraków, as the conference and its many associated events (TEDxKrakówCinema, TEDxYouth, TEDxKids@Kraków, the TEDxKraków Award, to name but a few) have skyrocketed in popularity and repute in such a short time. The main event, the TEDxKraków conference, is fast approaching, and the organisers have been busy putting together an ambitious line-up of speakers and performers centred around this year’s theme: Secret Lives. What exactly does such a mysterious concept entail? ‘Secret Lives’ will be an exploration of the hidden underlying forces driving life, from the secret ways that ideas spread (and how ‘spread’ can be applied to world-scale social good) to the secrets hidden behind statistics, to the secret identities activists must adopt in order to function in the world. We’ll learn about the hidden similarities shared by vastly diverse subcultures, the secret journeys raw materials take before being shaped into the buildings surrounding us, and how secrets can sometimes be harmful when they are used to hide entire populations that do not adhere to cultural norms. We will look behind the curtain of the apparently mundane and everyday to get a glimpse of some of the unexpected, fascinating, worrying, intricate and maybe even repulsive aspects of life that are usually invisible to us. To help us do so, the TEDxKraków organisers have created a line-up of over a dozen speakers and performers. These include world-renowned Magnum photographer Mark Power, New York-based performer and political activist Kristin Arnesen, medical entrepreneur Marcin Kawalski, tech pioneer Mark Turrell and Krakow’s own physicist Dagmara Sokołowska, amongst many others. New speakers are being announced regularly on the TEDxKraków blog (tedxkrakow.com/blog). the winner with the best idea selected by the jury will have a chance to give a 10-minute presentation on the main stage at TEDxKraków 2012. 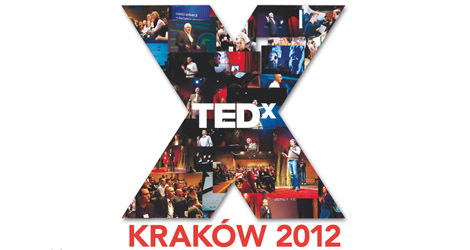 In addition, this year the conference itself will be preceded by TEDxKids@Kraków 2012, the first such conference in Poland by children, for children. The conference will be held on September 20 from 5pm to 8pm at the Manggha Centre and is aimed primarily at children aged 8-12 and their guardians. This year, about 350 attendees will gain admission to the conference itself, and if last year is any indication, there are likely to be more willing participants than seats (last year the ratio was 4 to 1). The TEDxKraków organisers will be curating the event’s audience from among Krakow’s business leaders, technology specialists, activists and creative community. To ensure that everyone who signs up for the conference ends up attending, for the first time TEDxKraków will be charging an admission fee of 50 złoty. Registration is still open on the TEDxKraków website (www.tedxkrakow.com) until 12 September. The TEDx initiative grew out of TED, a non-profit organisation devoted to Ideas Worth Spreading. What began as a four-day conference in California 27 years ago has expanded to include two major annual TED conferences (in California and Edinburgh), where the world’s leading thinkers and doers are asked to give the talk of their lives in no more than 18 minutes. The talks are recorded and then made available for free at TED.com. TEDx is a local spin-off of the TED conference that offers individuals or groups a way to host local, self-organised events around the world. Thanks to this, TEDxKraków has been a part of the TEDx programme since 2010, and its initiatives include TEDxKrakówCinema, held on the first Monday of every month; TEDxYouth@Kraków, an event by and for Krakow’s young people; and TEDxKrakówLive, an event centred around the live transmission of one day of the TED and TEDGlobal conferences. The third edition of TEDxKraków will take place on September 21, 2012 at the Manggha Centre for Japanese Art and Technology. The event will run from 9:30am to 6:30pm. For those who cannot attend, the conference will be live streamed over the Internet and viewing parties will be organised in other locations in Krakow and beyond, and videos of all of the talks will be available on the TEDxKraków website.